RPTA manages your property assessment appeals, reducing tax liability where possible and navigating procedural complexities. 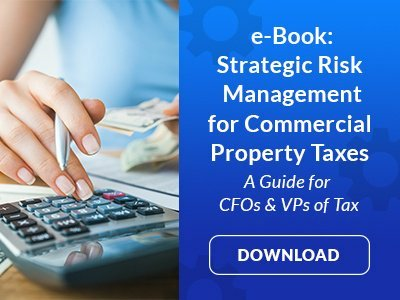 If your commercial real estate is assessed at above actual fair market value, an assessment appeal is the only way to combat the unplanned increase in commercial property tax liability. But, the appeal process is often long, requires a great deal of documentation and varies considerably between jurisdictions. When appeals take years and cross state lines, case management becomes highly complex and time-consuming. RPTA specializes in commercial real estate appeals. Our consultants have the expertise and resources to take your portfolio through the entire appeal process, regardless of its complexity. We take a heavy burden off your shoulders and work to deliver tax savings back to you. Our RealAccess promise ensures you’ll never get overwhelmed or left out of the loop when it comes to your commercial property real estate appeals. When we appeal on your behalf, a member of RPTA becomes your single point of contact for your entire account. This means that even if you have ongoing appeals in multiple states, you only have to turn to one person to get the answers you need, when you need them. Yet, you still benefit from partnering with our team of experts in taxing jurisdictions across the U.S. We ensure that you get individualized service and a single point of contact, combined with the breadth of specialized knowledge represented by our whole team. Today, many businesses view personal property tax as an unfortunate – and uncontrollable – cost of doing business. But, by appealing a jurisdiction’s assessment of personal property and leveraging additional benefits allowed by law, businesses with more capital invested in equipment than real estate have the opportunity to lower this cost considerably. RPTA’s personal property assessment appeals routinely succeed. We know tax laws and property valuation schedules inside and out, and we manage every aspect of your appeal process and case management. If it’s time to appeal a commercial real estate assessment increase or personal property valuation, work with proven experts to consider every factor, lower risk and reduce tax liability as much as possible. RPTA is ready to help you.